This is the second item from Amara I have been able to try. This is one I use at night only before I turn in for the night. I strongly suggest sunscreen during the day as Retinol can leave your skin open sun damage. I follow with a moisturizer when I am done applying to my whole face. 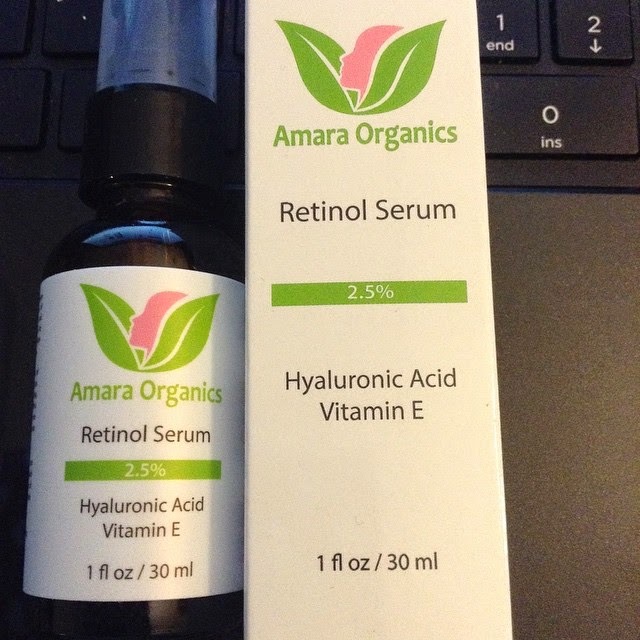 Amara Organics Retinal Serum comes in a glass pump bottle. A little goes along way so don't be swayed by the size of the bottle. I am really enjoying getting back into my skin care routine. I have learned so much about skin care over the last few months. I want to point out that Amara Organics Retinal Serum is Certified Organic, Vegan, as well as Cruelty free. You can find Amara Oganics Retinal Serum here. Retinol is clinically proven to not only work, but continue to work, providing better results the longer you use it. Extensive testing has shown significant improvement in fine lines and wrinkles as well as pigmentation in as little as 12 weeks. Skin continued to improve at the 6, 9, and 12 month marks.